RescueTime makes it easy to see how you've spent your time over a day, week, or month. Did you know you can also filter it to specific hours of the day? Or filter out weekends? On the drop-down date controls, from your dashboard or any of your reports, you'll notice that by default RescueTime shows all time 24x7. 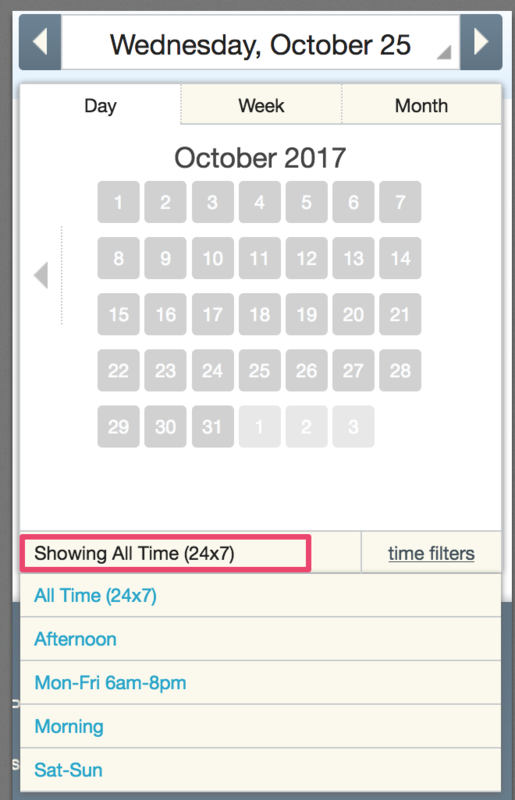 Changing the time filters will allow you to narrow the hours or days that RescueTime is looking at for your reports. The application will show you when a time filter is applied. If you are a Premium user, you can edit or create custom filters to restrict your data further. You can select the days of the week that you are interested in, as well as specific time spans on each day. For example, restricting your data on Mon, Wed, Friday from 9am-5pm.